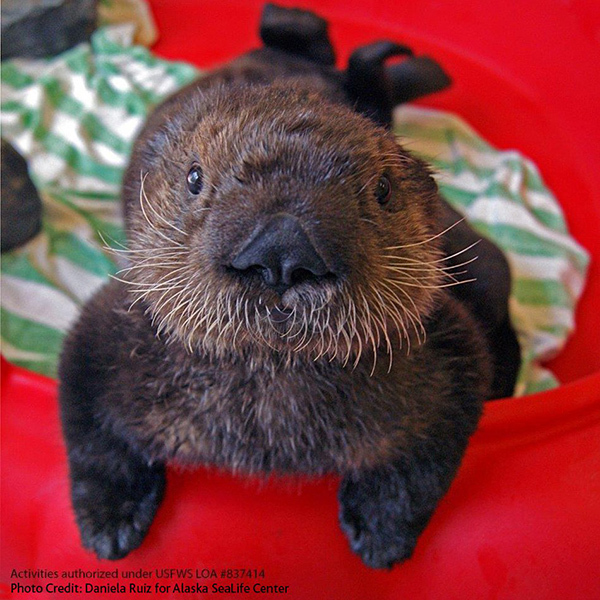 Nov 4 Vancouver Aquarium Has Taken in Another Two Sea Otter Pups! Following months of rehabilitation at the Alaska SeaLife Center in Seward, AK, the two rescued sea otter pups have been transferred to Vancouver Aquarium Marine Science Centre to receive long-term care. The male pup, now almost nine months old, was admitted on February 11, 2016 after being found by a member of the public in Kachemak Bay, AK. A female pup, approximately eight months old, was spotted by the U.S. Coast Guard and washed ashore on Homer Spit near Homer, AK. She was admitted on March 31, 2016. The male pup was estimated to be a week old when found, and the female was estimated at 23 days old. 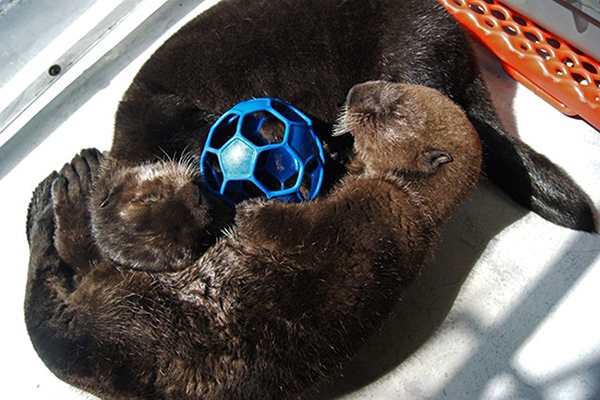 They were placed in Alaska SeaLife Center’s I.Sea.U where they each received 24-hour care. The male required immediate weaning to solids and extensive coat maintenance. Dehydrated and requiring antibiotics when she arrived, the young female spent two weeks in intensive care. Both pups were deemed non-releasable by U.S. Fish and Wildlife Services as the pups were very young when they were rescued and didn’t have sufficient maternal care to learn the necessary survival skills. Vancouver Aquarium was asked to provide a long-term home for the pups so they may receive ongoing care for their needs. Interested in helping to name these two? Vancouver Aquarium has proposed names for the public to vote on, and they'll announce the winning names on November 17. And two random participants will be selected for a visit with the pups! Read more at Vancouver Aquarium. Nov 5 Swim to Us, Otter!